This presentation defines abuse and offers warning signs for recognizing abuse. It describes the particular characteristics of abuse in homeschooling settings and lays out ways to help abused homeschooled children. Designed with homeschooling parents and communities in mind, this presentation should prove helpful for anyone frequently in contact with homeschooled children. When abuse occurs in homeschool environments, it can be compounded by children’s lack of regular contact with mandatory reporters such as teachers. In some cases, abusive parents may use homeschooling to conceal and intensify their abuse. 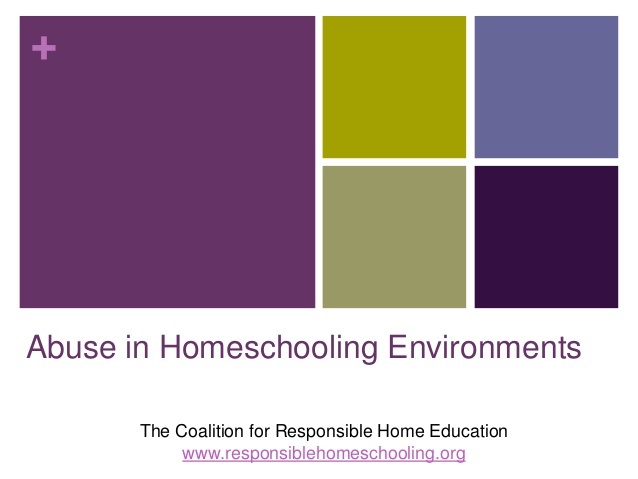 This presentation covers the things that make abuse in homeschooling environments different from abuse in other environments, and what that means for the children affected.